Understanding the path of the sun is ancient and fundamental… and a lost art in contemporary construction. 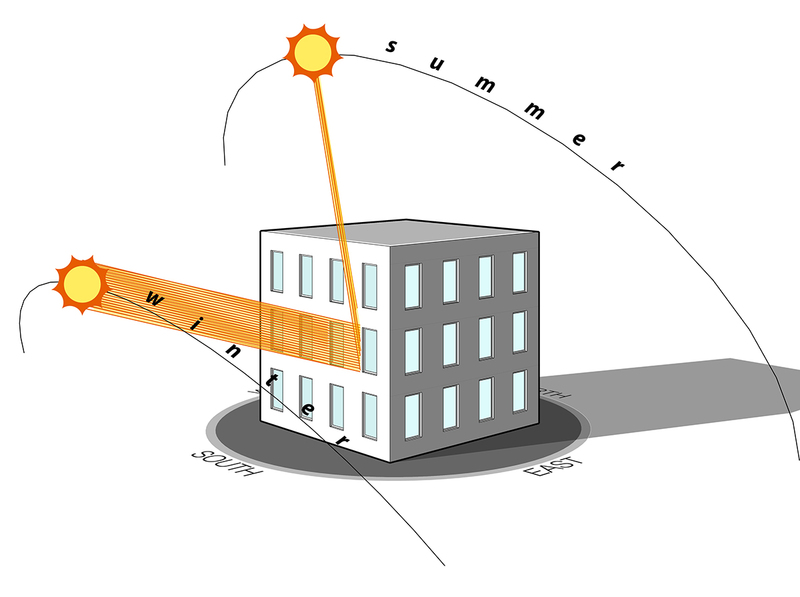 Even a rudimentary understanding of where the sun falls on a building at different times of the year can significantly improve its performance: reduced heating and cooling needs, reduced electric lighting, better daylight, more comfortable spaces, a more desirable interior environment. 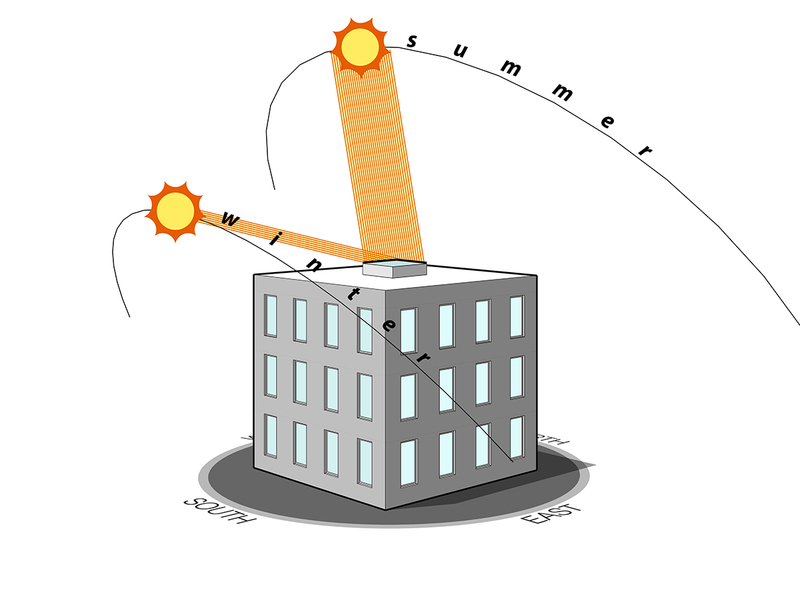 By far the most solar radiation falls on a building’s roof in the summertime, followed by it’s East and West walls. The south wall receives little more than the north. In the winter, by far the most solar radiation falls on a south-facing wall. Very little is received anywhere else. The south wall is the only surface that receives more energy in winter than summer. This is because of the low wintertime path it takes across the southern sky. 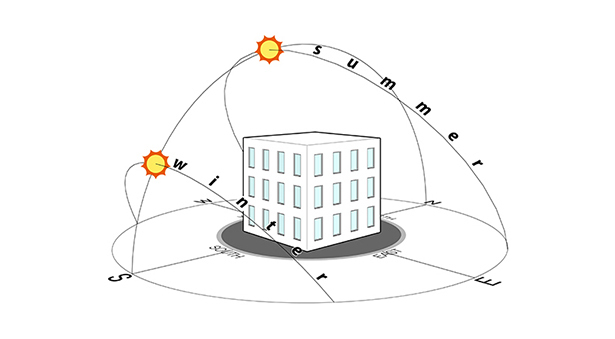 In most US climate zones the sun is an asset in the winter and a liability in the summer. 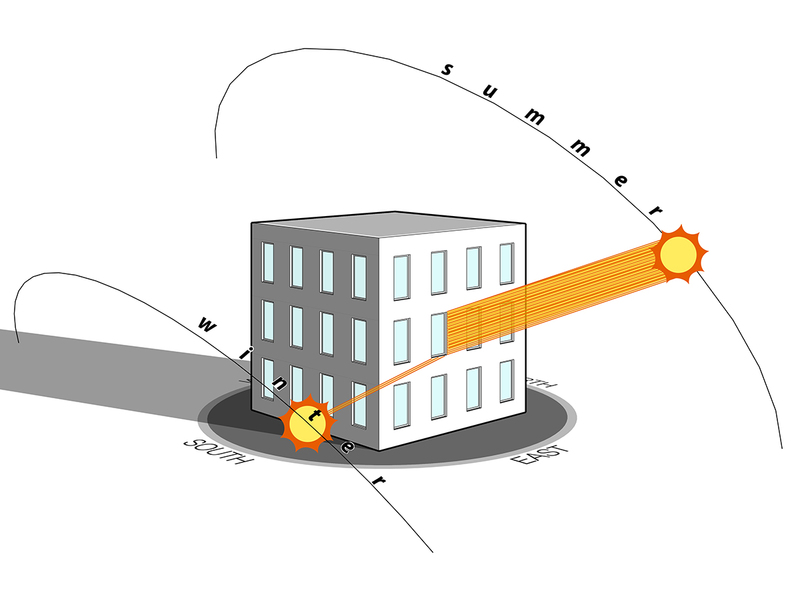 Aligning the capture or exclusion of the sun’s heat with what is needed at varying times of year is the key. This can be done with overall building shape and positioning, or with the orientation of openings to desired directions. Simple, knowledgeable choices can be made from conventional options at all scales, from the largest city-planning decisions down to the choice of window shade. 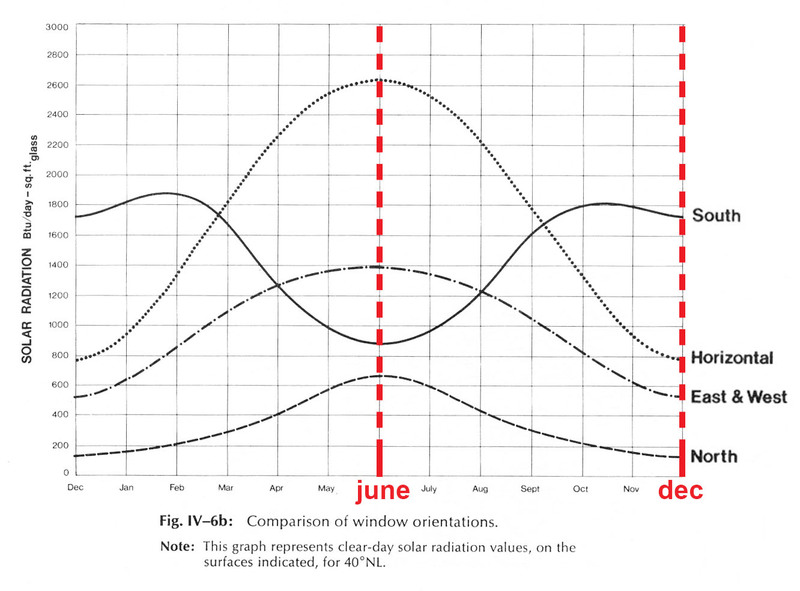 South-facing windows – the backbone of classic passive-solar design – work very well. They capture winter heat and avoid most of it in the summer. 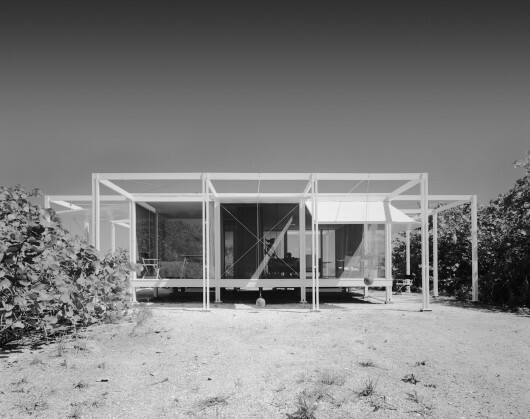 The summer sun that they do receive can be easily shaded by the wall above the window or with a small added overhang, or better yet captured and redirected heat-free as reflected light for the interior. Skylights in flat roofs don’t work very well. Their orientation receives peak summer heat precisely when it is least wanted and miss almost all of what is available in the winter. They also create a large hole in an important part of the building’s thermal envelope – the roof assembly. Large East and West-facing windows collect too much low-angle morning and evening sun in the summer to be be comfortable or energy efficient. They will benefit from vertical exterior shading to keep out heat. When access to southern sun is blocked at ground level, overhead (clerestory) windows can capture south sun at the roof, allowing eye-level views in whatever direction is desired, or just bringing in great light when no view is possible, as in this example. 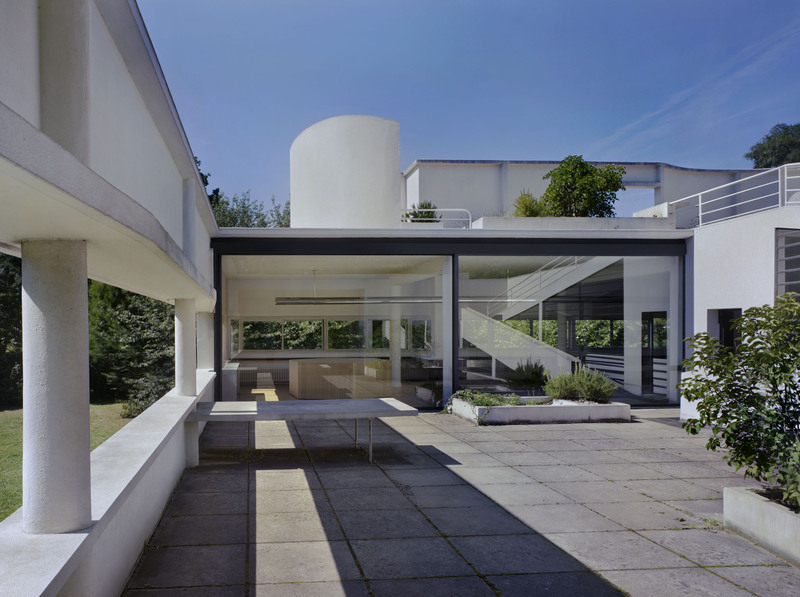 The living room of the canonical Villa Savoye opens inwardly to an elevated courtyard – counter intuitively and to wonderful effect – while the outward windows are his restrained “strips”. Adding exterior sunshades can address difficult low-angle sun from East and West, allowing views and daylight but keeping the sun’s heat outside. 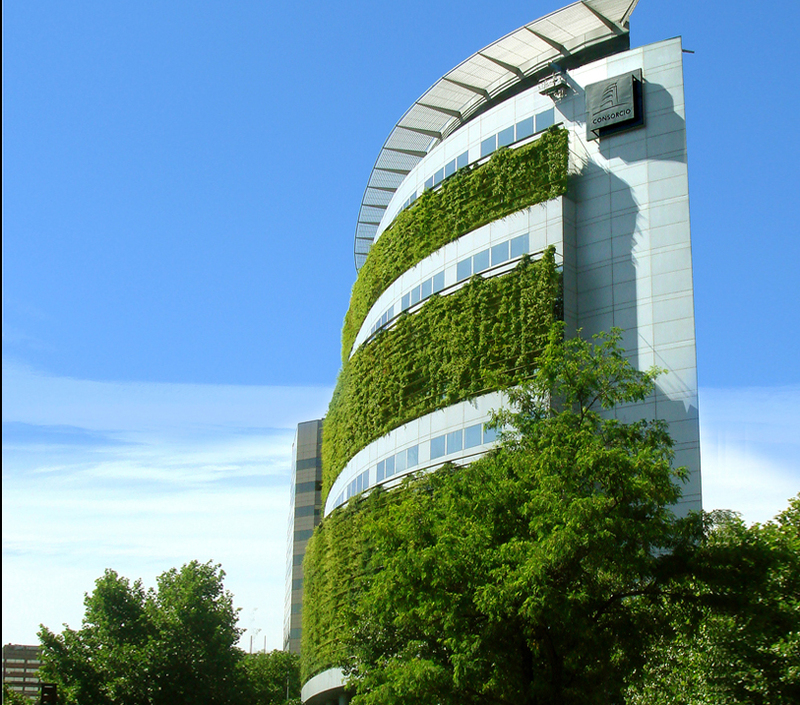 Vegetation – either conventionally planted around buildings or more elaborately integrated onto facades – can work together with building design to synchronize sun with need. The upright orientation of trees and vertical plantings make them effective blockers of difficult low-angle summer sun, and deciduous plantings lose their leaves in the winter, letting in more light. 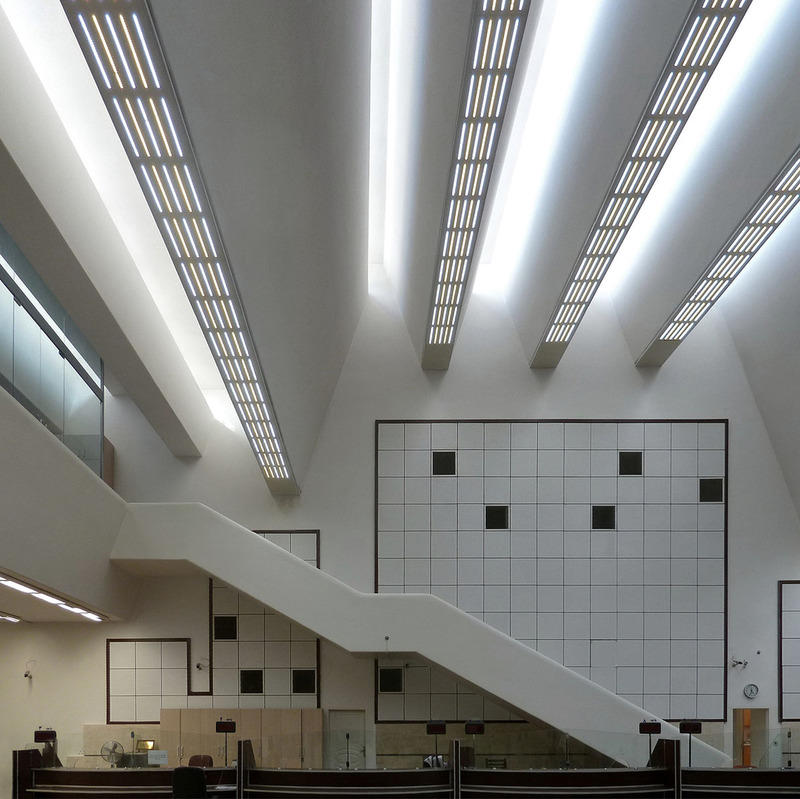 Federal Office Renovation: Problematic heat gain and daylighting glare on Southeast and Southwest facade exposures are addressed with deep exterior lightshelves to shade low sun angles and reflect daylighting to the office ceiling.